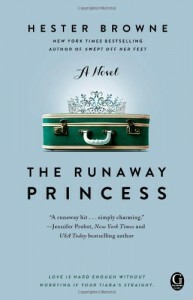 The title of The Runaway Princess is misleading because Amy, our heroine, is just ordinary English middle-class girl. Her best friends Jo jokingly calls her 'Queen of Spades', but that's got more to do with Amy's profession than social status. If you haven't guessed it, Amy is a gardener. I felt close to Amy immediately - we had a lot of similarities. We're both not afraid to get our hands dirty, do not care about latest fashion, makeup, manicure and usually say wrong thing or get tongue-tied around unknown people. While Jo tries to set Amy up with her posh friends, all Amy wants is someone ordinary and down-to-earth. Someone who is easy to talk to. "I just want someone normal," I said stoutly. 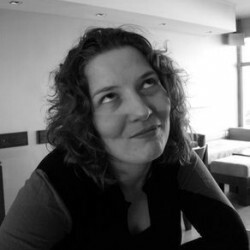 "I'm just a normal girl, and I want a normal bloke." She smiled. "None of us are normal. We're all special in our own way." When Amy meets Leo, it seems like her wish came true. And Leo is definitely not only easy to talk to but easy on the eyes also: blond hair, blue eyes, cute smile... But surprise surprise - Leo turns out to be a real prince from a small European country called Nirona. It's a little bit pretentious turning down a great guy just because he is a prince, especially if everything about him feels... just right. "We're not exactly the same, but we fit together. You feel right. You smell right. When I'm with you, it's like I'm at home, even here in London, where I never thought I'd properly be happy. I don't know what it is, but I could talk to you forever and never run out of things to say. And I could never get tired of looking at you. Ever." As Amy's and Leo's relationship gets serious, the pressure from royal family and paparazzi escalates and Amy encounters a lot of tough decisions and not-very-much-enjoyable'princessing process'. How much are you willing to sacrifice for love? Is justified causing discomfort to your family just so you could be happy? Where is a boundary between improving and losing yourself? In this cute and quirky novel camouflaging as contemporary chick lit Hester Browne ask these and a lot of other important questions. If you have ever envied Disney princesses on their hot and royal mates or wished you were lucky as Kate Middleton and caught a prince - Hester Browne will make you question that decision. If you want to know 100 reasons why you should not date (or God forbid) marry a prince and you like chick lit novels with quirky characters and English humor, then The Runaway Princess might be the book you are looking for. Disclaimer: I was given a free eBook by the publisher via Edelweiss in exchange for a honest review.